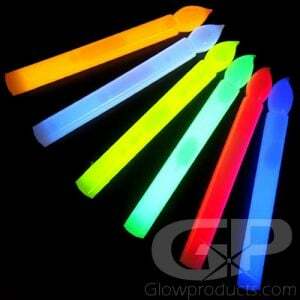 - Simulated Flickering LED Lights! - Batteries Already Installed and Replaceable! - Church Groups! Weddings! Special Events! 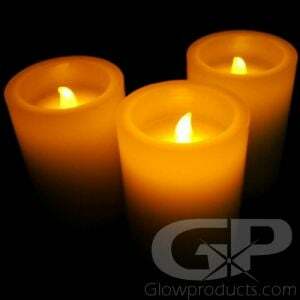 The perfect alternative to real candles at candle lit vigils, Safe No-Flame Classic Taper Style LED Candles simulate a real candle with an orange flickering glow flame. 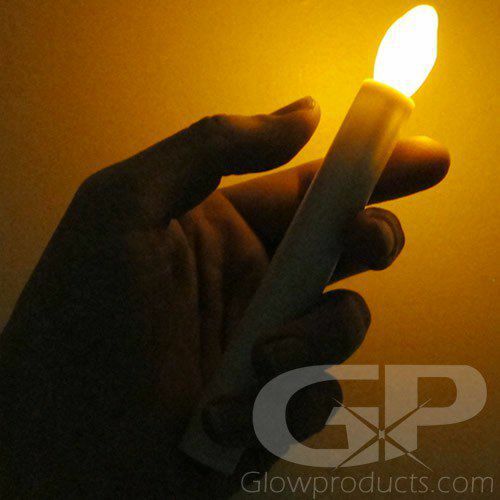 These Safer Flame Classic LED Candles come with the batteries already installed and they're replaceable so you can continue using your hand held no flame candle again and again! 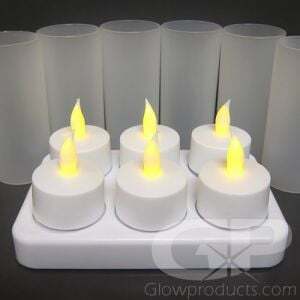 Classic Style Flameless LED Candles look like real candles but without the fire hazards of an open flame so they are perfect for venues where real candles are not allowed due to fire hazards or outdoor events where wind and rain may be a factor! 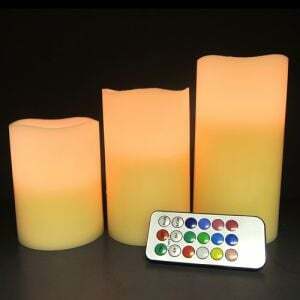 These beautiful high quality battery operated candles cast a soft flickering candle glow with just the switch of a button. 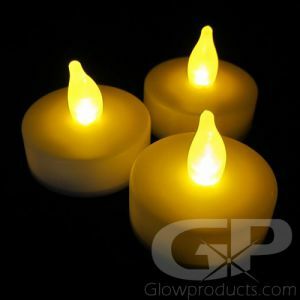 Use the Safe Flame LED candles instead of real candles at candle light services, church and community Christmas events, outdoor caroling and holiday celebrations and parades. 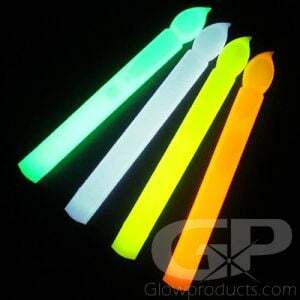 Instructions: To activate, simply flick the switch found on the side of the Hand Held Glow in the Dark Candle. To replace batteries, remove the screw found under the power switch. 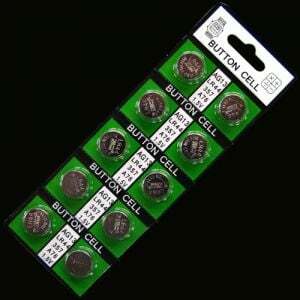 Replace the old batteries with 3 new AG13 batteries. 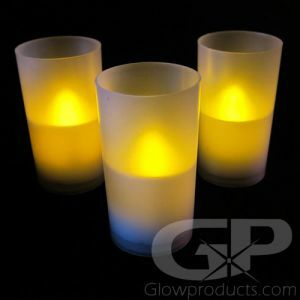 The LED light flickers with an amber color light, the body of the no flame LED vigil candle is white.